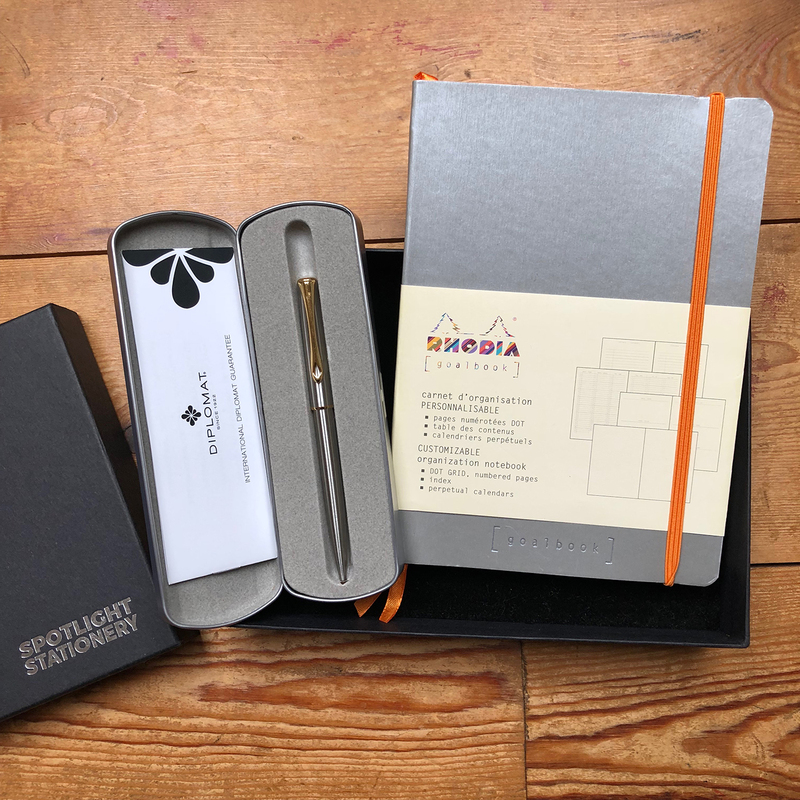 The journal: a Rhodia Goalbook with silver soft cover, 240 numbered dot grid pages, two perpetual calendars, elastic closure band and a cardboard pocket at the rear. The pen: Diplomat Traveller stainless steel ballpoint pen with gold coloured highlights in a silver presentation tin. The set is packaged in a Spotlight Stationery rigid lidded box.